Above are my top three favorite shades of the 16 different shades LA Girl offers in this product. These lipglosses are actually a lipgloss, it’s really a matte liquid lipstick basically. They are very pigmented and I don’t notice them to be streaky, so one thin layer really does the trick. If you layer this product, it will feel dry, crumble throughout the day, and have a bt of a sticky feeling to them. The less product the better. 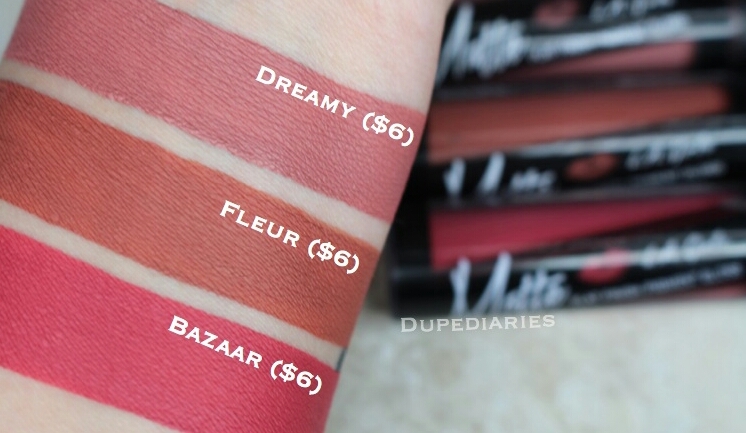 These aren’t necessarily the best liquid lipsticks, but they are affordable and great for someone just starting out with makeup.